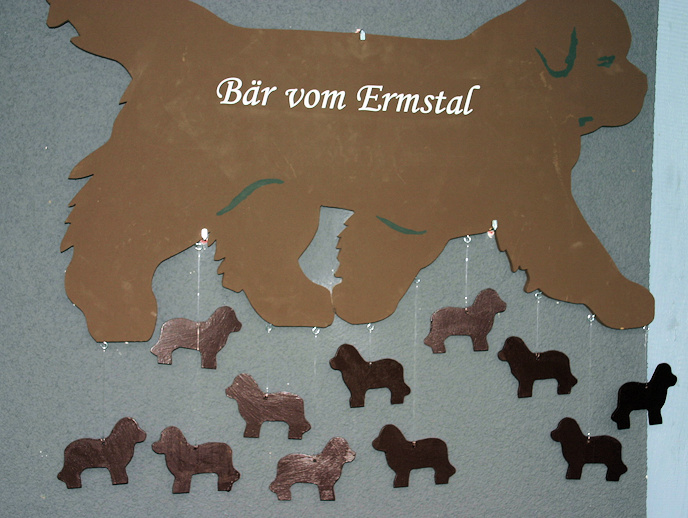 L-litter - Neufundländer "Bär vom Ermstal"
Patter of tiny feet at the ‚Bär vom Ermstal‘- kennel: the L-litter ! Reiner Kleiss is a footie-enthusiast ! 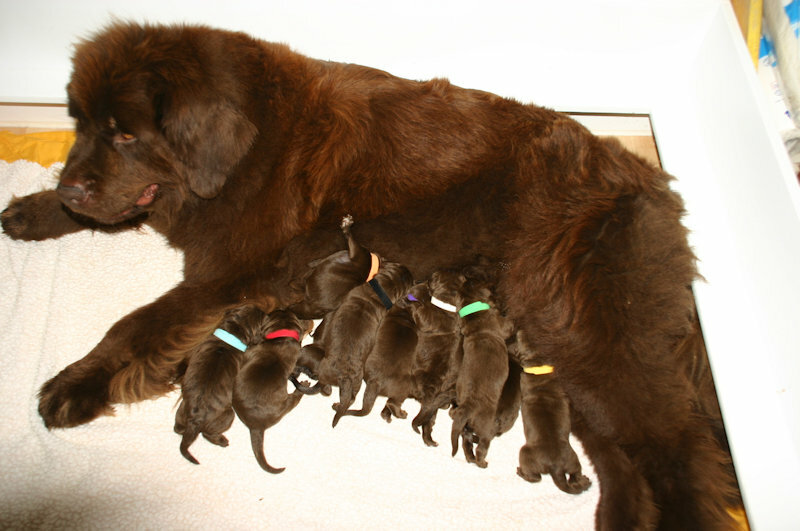 So Shalina obviously thought: ‚Well – then let‘s deliver a full team to him!‘ And really: On May, 16 , two days earlier than expected, Dream-Bay Shalina Uut Oons Berehuus gave birth to 11 healthy puppies! 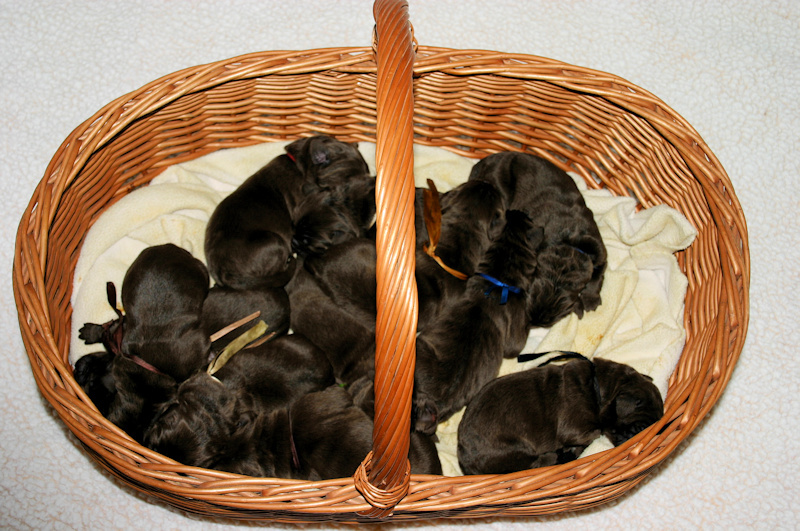 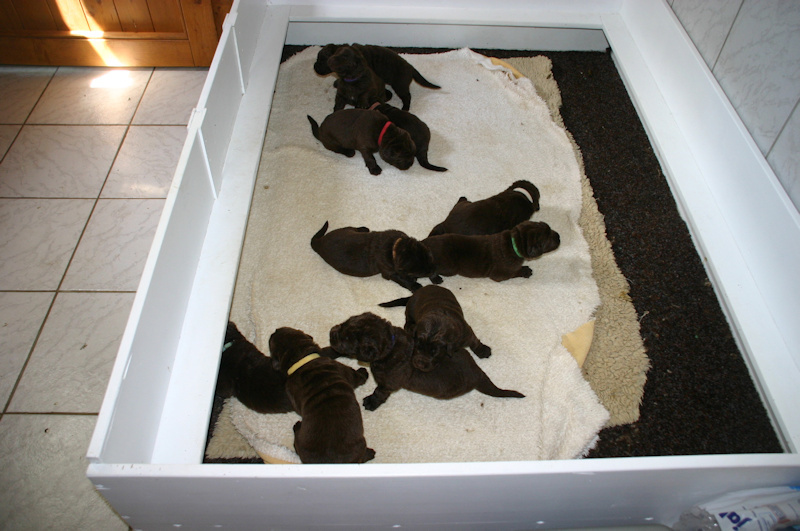 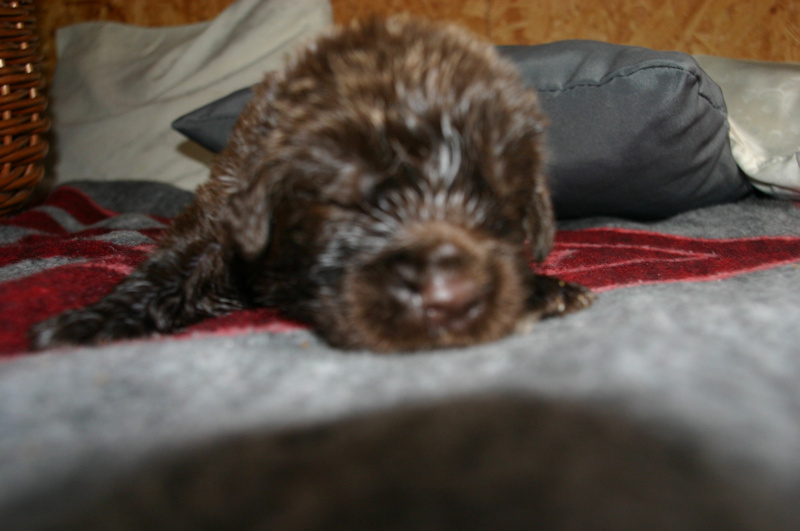 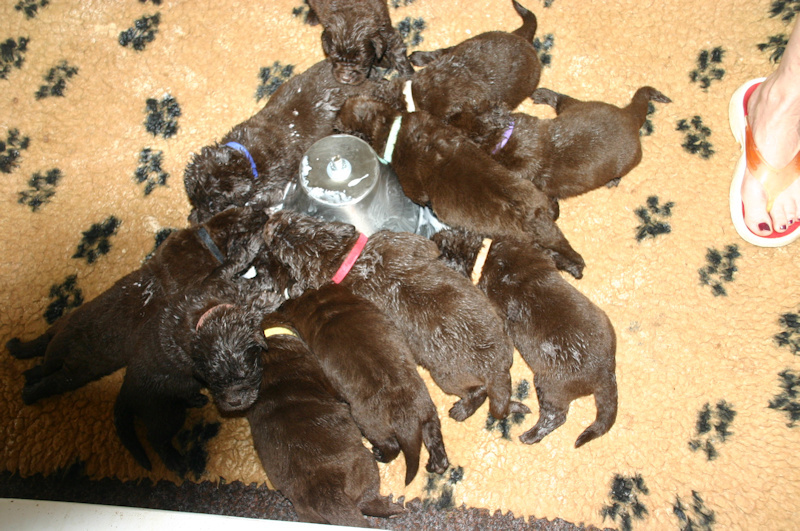 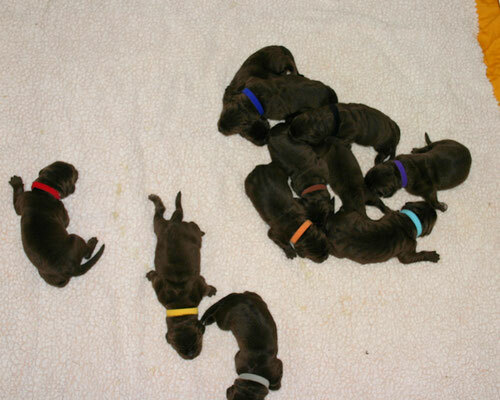 5 girls and 6 boys, all brown with birth weights between 20 and 26 oz. 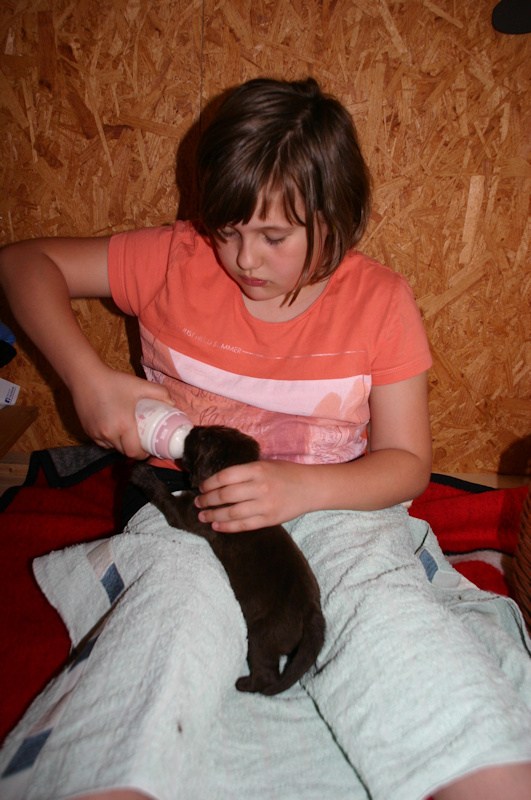 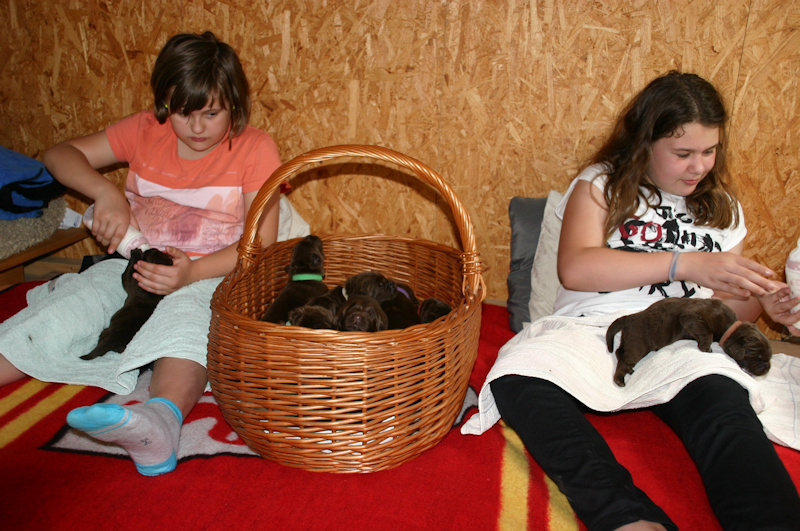 Mom and kids are in perfect health - and the ‚Bär vom Ermstal‘-kennel is really busy now!